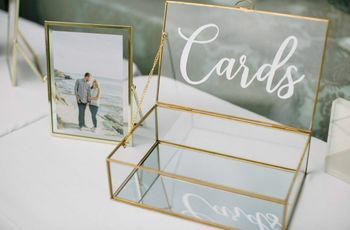 To help make sure the bulk of your wedding registry items don't collect dust on the shelves, here’s a list of the top items that have stood the test of time. The wedding registry—one of the more fun, yet overwhelming wedding-planning activities (though don’t they all feel that way?). 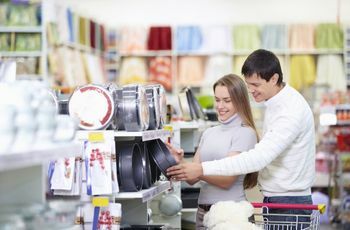 Purchasing wedding registry items is deep-rooted in tradition as a way to help a couple begin their life together. 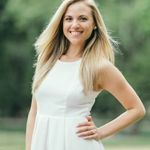 In the past, many newlyweds waited to move in together or purchase a first home until their nuptials passed, but things are quite different in today’s day and age. 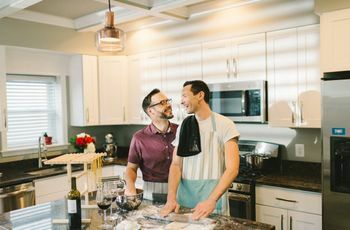 More and more couples have passed the move-in phase earlier—even within the first few years of dating—so they’ve already purchased many of the basic necessities that once landed on the standard registry (i.e. silverware and a coffee maker). Still, the registry serves a purpose today. It allows you to unapologetically ask for the wedding gifts you do want. Check out these wedding registry items that have totally stood the test of time. If you’re living in a tiny apartment, you might turn your nose up to wedding registry items that are on the bulkier side, like a kitchen mixer, but you might want to think twice. Sure, if you’re not super into baking this thing might not come in handy just right now, but wait until you have kids and can bake 9 dozen cookies in a single batch! This machine whips, kneads, mixes and does it all—handling ingredients like nobody’s business so your hands don’t have to. Chopping and dicing can get boring, not to mention dangerous. Why not let a stainless steel appliance do the hard work for you? Even if you’re not an aspiring chef, you’ll be amazed by how this device comes in handy to make everything from soup to sauces and even smoothies! Akin to a food processor, there’s almost nothing you cannot make in a blender—and an immersion blender is just a hand-tool version that is more ideal for soups and sauces. Up your juice game by tossing in fresh fruits and vegetables and make the most delicious and crowd-pleasing dips for when you’re hosting parties. When it comes to bigger-ticket wedding registry items, this is should be the all-star. In fact, most newlyweds would agree that your wedding registry isn’t complete without a basic cookware set, which typically comes with a round Dutch oven, saucier, roaster and skillet grill to cover all your cooking needs (in an eye-catching design that matches, of course). In order to bake your new spouse a cake, a baking set is essential. 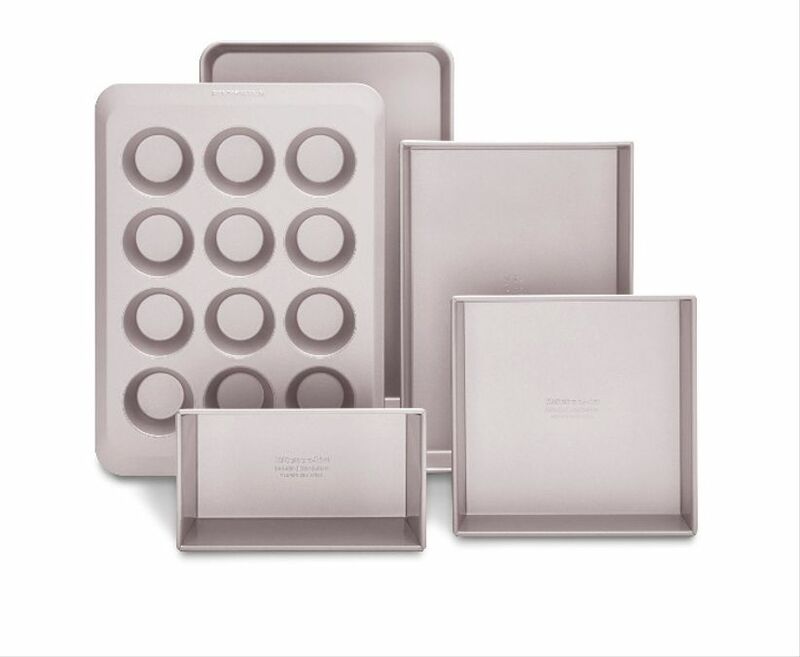 Most come with everything you need to whip up delicious desserts with ease, including a muffin pan, baking sheet, cookie sheet, loaf pan, brownie pan, cake pan and cooling rack. You’ll be the favorite Thanksgiving host in no time. Yes, you already own silverware, but, chances are, you don’t own the fancy kind that your in-laws will be impressed with when you host them at your place for dinner. A five-piece set comes with all of your dining utensil necessities—a dinner fork, salad fork, soup spoon, dinner knife and a teaspoon. Those Chinese food takeout containers are well-passed their expiration date (and most likely not dishwasher friendly)—time to toss ‘em in place of a real, adult set of food storage containers, one of our favorite wedding registry items. Add the value set to your registry so you’re never without the perfect, pint-sized air-tight storage to secure all of your leftovers. Whether you cook rarely or meal-prep on Sundays, a quality knife block won’t fail to come in handy. You can expect this set of knives, which covers all of your cooking, slicing and dicing basics, to last for years—even decades. This brand is forged from high-carbon steel, and can easily be sharpened to act like new. If you’re still draping yourself in the bath towels you donned freshman year of college, it’s time for an upgrade—and your registry is the perfect excuse for going big. Consider selecting quality towels that are significantly more absorbent than the thin and flimsy towels you might be used to. Fast-drying ones are a plus, too! 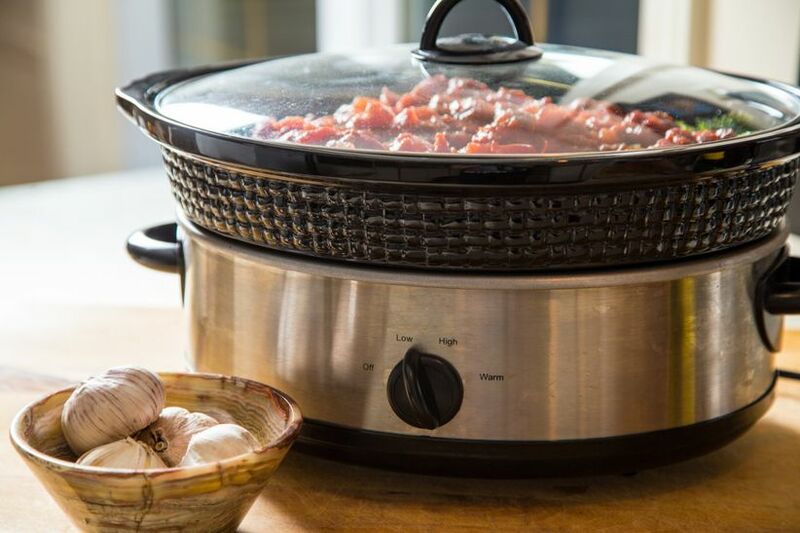 If you don’t already have a slow cooker, prepare to be amazed. It’s essentially every lazy chef’s dream—you just pop in all the ingredients you need to whip up a delicious meal, leave it on while you’re at work or out for the day (some require up to 8 hours) and then return home to the smell of a home-cooked meal.